Port of Savannah and Industry: Grow with us! Savannah, Georgia is an area that has experienced outstanding economic growth in recent times. Part of the reason for this is that our port is doing so well. In 2018, for example, the Georgia Ports Authority saw quite a few records fall. In the month of December 2018, the port handled about 362,000 twenty-foot containers— a monthly high for the year. This is an increase of 8 percent compared to the same period a year ago. Part of the reason why this is happening, according to the Georgia Ports Authority is the growth of inland markets in the Southeast United States, and shippers’ discovery of the Port of Savannah’s gateway to global markets with easy access to rail and road transportation. From January to November 2018, the port handled 4 million TEUs, which was an increase of about 300,000 containers compared to 2017. That’s an 11 percent growth in container volumes and marks the 25th consecutive month that the port has seen growth. 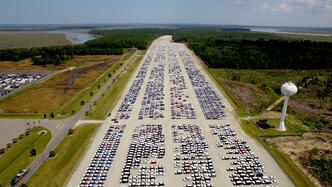 Currently, the Port of Savannah has an estimated economic impact of $40 billion. They employ about 400,000 people directly and indirectly, all of which are slated for growth in the coming years. Each extra container that moves through the port is new business for rail, trucking, and warehousing- not to mention retail and manufacturing. This has led to a ripple effect that has seen Industry in Savannah grow a lot in recent years. It leads to more income and jobs for our communities, which in turn spurs economic growth in Savannah. Port officials expect that the growth will continue throughout 2019. Part of what is expected to contribute to the growth of Savannah is a $500 million industrial park. This park will be located on 1,150 acres of land in Effingham County. The park, designated The Georgia International Trade Center (GITC) is targeted at manufacturing, warehousing and light industrial customers. The groundbreaking for the park was in December 2018 and construction on two speculative buildings is expected to be completed in October 2019. The park will only be 9.5 miles from the Garden City Terminal run by the Georgia Ports Authority. This park will also offer access to their I-16 and I-95 corridors and the CSX rail. The new park intends to build on the success of the Savannah Gateway Industrial Hub. The SGIH is focused a bit more on manufacturing, while the GITC will develop primarily into a haven for warehousing. The best part about these facilities is that they will create jobs and help grow the economy. 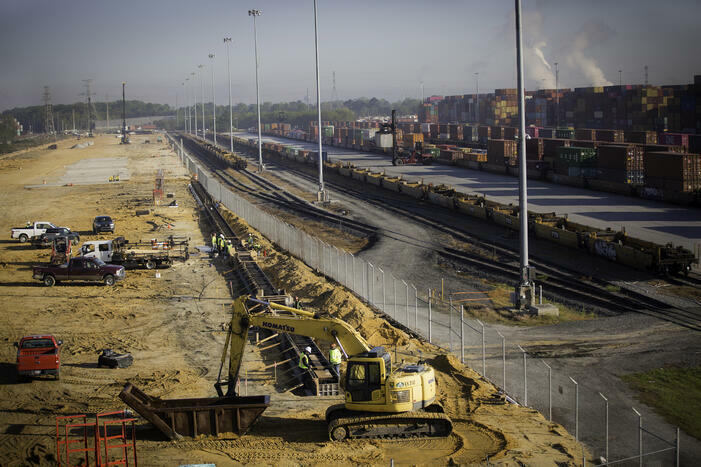 The Port of Savannah has plans to double the ocean-bound cargo by 2028. The entire master plan is expected to cost $2.3 billion. It means accommodating up to 10 million twenty-foot containers per year. This will be more than double the four million containers the port currently sees. Grow with us! Port City Logistics is ready to take on your freight challenges through the Port of Savannah and throughout southeastern Georgia.